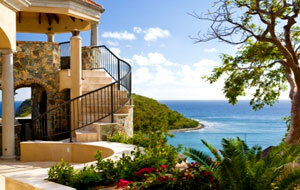 Life at Kaleidoscope Villa in St. John, U.S. Virgin Island has never been better. 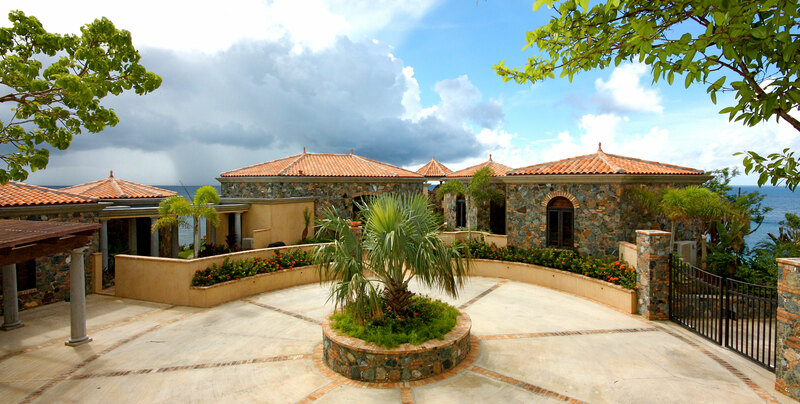 Ditleff Point and Kaleidoscope Villa have become the preeminent location in the Virgin Islands for the perfect upscale vacation with its beauty, security, low density, breathtaking views and natural beauty. St. John has recovered exceptionally well from last year�s Hurricanes. Of course, many individual homes will take time to rebuild as do large hotels, but life is essentially back to normal on St. John. Almost all of the restaurants are open after being nicely renovated, the National Park and most of the famous North Shore beaches have been cleaned up and open. Tourist traffic is down due to some of the large hotels not being fully operational, which is a hardship on residents and the local economy, but as a result life is very quiet and peaceful on St. John. Use the following links to quickly navigate to the main sections of our website. Take a closer look a Kaleidoscope Villa in this 3 minute video as seen through the eyes of a drone. Determine when your next vacation will be by browsing our current availability calendar and rates. 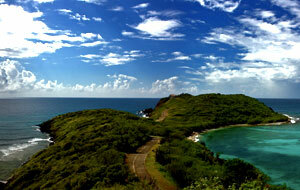 Learn more about St. John in the US Virgin Islands, home to over 5000 acres of park land. Don't just take our word for it, listen to what others have said! "Breathtaking! Should be six stars! We've been back from Kaleidoscope for a month now, and still can't get it off our minds! 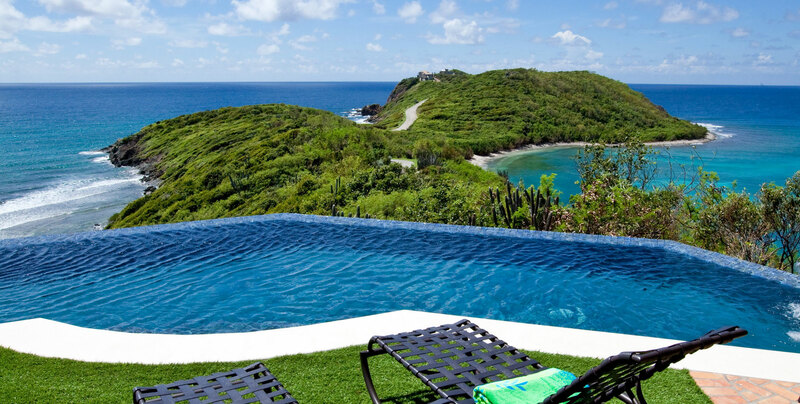 This is our fourth year in a row in St. John, and the fourth villa we've stayed in...we can't imagine St. John without Kaleidoscope - there are villas, and then there are villas! We were home less than a week before we just had to send a deposit for next year - we're addicted! The pictures don't do it justice -- the panoramic view is something you have to see to believe! We must've seen 14 turtles surface in Fish Bay while we were lounging in the infinity pool! " "It's a's all the way! The house is astounding with never-ending ocean views, beautiful living space and bedrooms and everything you could possibly want is at your fingertips. The infinity pool is amazing, the observation tower was awesome and the private hot tub that is tucked away has astonishing ocean views. There is plenty of space in the villa to have quiet time. 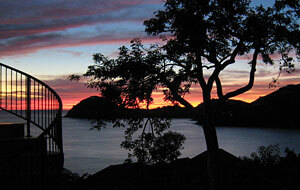 Each bedroom has its own ocean-view balcony if you want to slip away for some alone time and a glass of wine. Kaleidoscope Villa has become the gold standard. Nothing will ever compare. It was perfect in every way. We can't wait to go back! " "Amazing Location & Outstanding Experience! I have been renting on St John for 8 years and have never returned to the same house twice. Kaleidescope will be the exception.The views from the house are amazing. The amenities such as sat tv in every room, high speed internet, fully stocked wine fridge and a chef's kitchen all contibute to an first class experience. In addition, the staff are very helpful and being able to rent the house directly from the owner was great. If I was to build a house on St John, I would use Kaleidescope as the model!" "I can't even remotely come up with words to describe how magnificent Kaleidescope villa is. Jack has created the perfect villa leaving no stones unturned. It its the only villa that you truely will not want to leave for your entire vacation. Obviously from all the amazing reviews, you get an idea of what I am referring to. If you can, experience it for yourself. 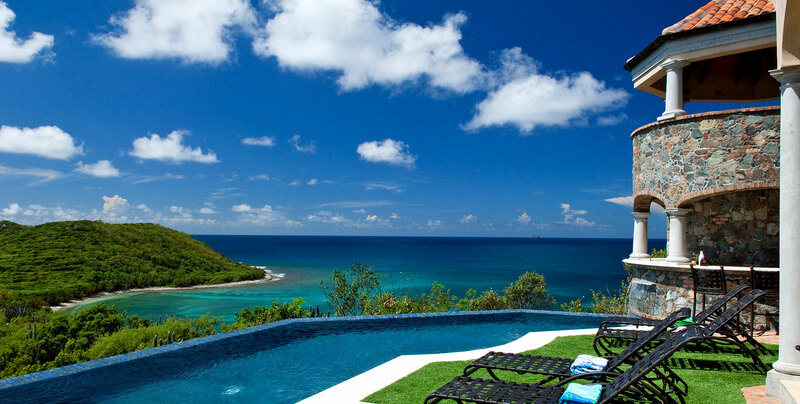 The crystal blue ocean views from every imaginable place, the perfect infinity pool, the private beach, the sea turtles in fish bay, the solitude and so much more. I just hope we can experience this garden of eden in the future." We strive to deliver a level of service that exceeds the expectations of our guests. If you have any questions about our villa or the rental process, please do not hesitate to contact us! 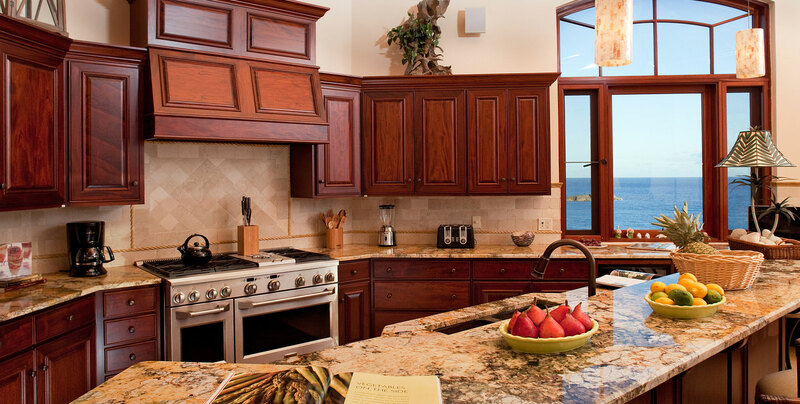 Kaleidoscope Villa was built with our guests utmost comfort in mind. From the luxury accomodation, to the outstanding views, Kaleidoscope delivers. We are currently a perfect 5 of 5 stars on all our Flipkey reviews - over 60 of them! Our guests all agree, there just in no comparison. © Copyright Kaleidoscope Villa. All Rights Reserved.